The transition to parenthood is difficult for couples to navigate, making it a critical time to intervene. Unrealistic media portrayals contribute to inaccurate expectations exacerbating the difficult transition. Given the increased engagement with video content on social networking and video-sharing websites, a brief video intervention could normalize the challenges couples commonly face, combat unrealistic media portrayals and provide targeted recommendations. Brief video interventions can reach a wide audience and influence beliefs, attitudes and intentions to act. 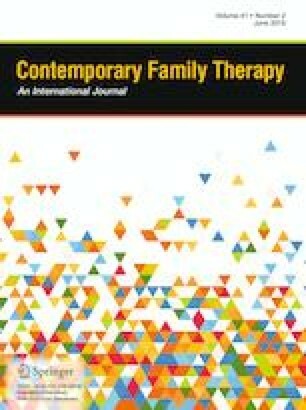 This paper provides a rationale on the need for a brief intervention for couples transitioning to parenthood and describes our own approach to doing so based on principles of attachment theory. The online version of this article ( https://doi.org/10.1007/s10591-018-9481-y) contains supplementary material, which is available to authorized users. Constine, J. (2016). Facebook hits 100M hours of video watched a day, 1B users on groups, 80M on Fb lite. Tech Crunch. Retrieved from https://techcrunch.com/2016/01/27/facebook-grows/. Youtube. (2018). Youtube for Press. Retrieved from https://www.youtube.com/intl/en/yt/about/press/.